After years of having to deal with budget cuts and other issues surrounding reductions in funds for early childhood learning, the National Head Start Association finally got some good news this week with regard to the budget deal that was reached by lawmakers. Advocates of the Head Start Program are hailing this deal as a very encouraging sign that Washington has made a strong commitment to early childhood learning programs. According to the information that has been released, the new budget deal with restore funds that were originally cut from Head Start Programs during last year’s across-the-board budget cuts that affected many departments and programs throughout our nation. Approximately 57,000 children from low-income families lost access to early childhood learning through Head Start Programs, according to data released by the National Head Start Association. A $1 billion increase from the 2013 budget was provided to early childhood learning, totaling $8.6 billion in funding for Head Start Programs. This would increase access to an additional 90,000 children in-need, according to information made available by the Health, Education, Labor and Pensions Senate Committee. Of the 90,000 that would now be eligible, 40,000 new babies and toddlers would now become eligible for the educational, health, nutrition and family programs available through local Head Start Program schools. In addition to all of the benefits, increased program access and restored funds, $250 million was allocated to support the Race to the Top competitive grant program, which encourages states to expand programs for low-income children, such as all-day preschool and daycare programs. Many officials in top government roles, including Education Secretary Arne Duncan, and President Barack Obama, have been searching for new ways to improve the availability and quality of early childhood learning programs for low-income families. Additional programs, such as the Preschool for All program and the President’s universal preschool program, which were proposed in the original budget offerings, were not included in the budget deal, but there is hope that they will be considered again. Cost has been a hurdle for these programs and there are critics who have questioned whether or not benefits from early learning at Head Start Programs can be maintained throughout the life of the child or if government should even be involved in early childhood learning. 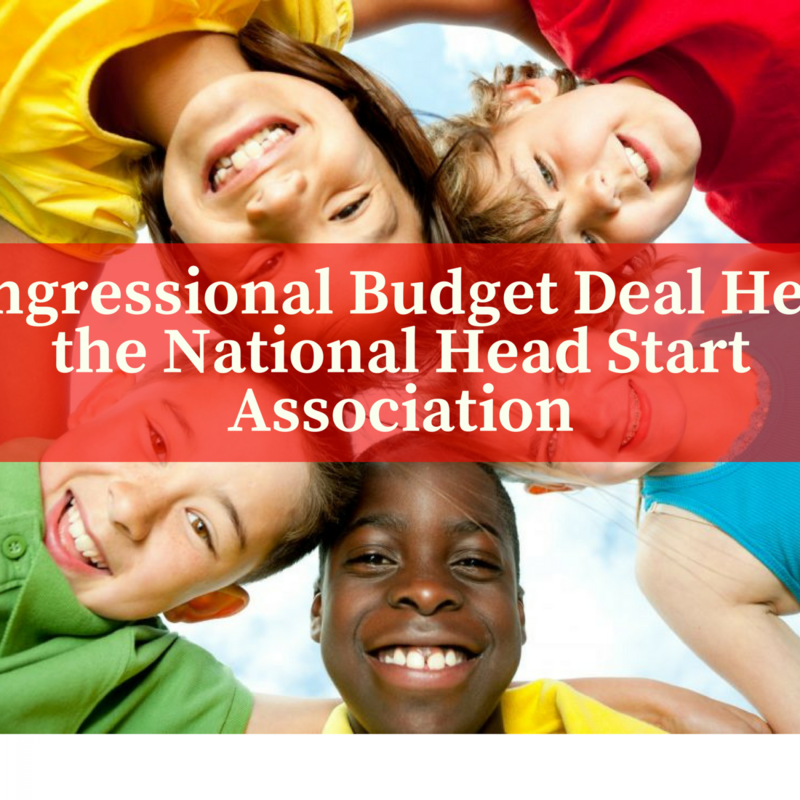 However, the increases in the most recent budget deal are encouraging to advocates of the National Head Start Association. In an effort to prove the value to critics of early childhood learning, the National Head Start Association has been charged with improving their existing programs and finding ways to show continued value for their services before any new federally-based initiatives would be considered. This puts the responsibility for further developments in early childhood learning square on the shoulders of Head Start Program administrators, teachers and advocates. Democrats who support the Head Start Program and increased efforts in early childhood learning say that an interest in proving the value of these services to low-income families and the expansions provided in the new budget deal are a “significant step” toward increasing funding of these programs. The budget agreement will also restore funding cut from other educational programs, including special education and schools where there is a high number of low-income students. The best way to increase awareness and acceptance of advances being made in early childhood learning is to do all that you can to improve your local Head Start Program. While many administrators rushed to find ways to cut their budgets during sequestration, the same effort should continue to be made even now when the funds are restored. Freeing up monies that were wasted on poorly constructed food and supply ordering systems to use them to provide additional benefits to program participants will go a long way toward achieving that goal. FoodSource Plus is a professional food supply source for Head Start Program administrators and other administrators of human services programs. They work with your local program to supply quality food, office and janitorial supplies at the best available prices across the country. The food supply source program is free to join and includes a cost-saving analysis, as well as menu and nutrition services. FoodSource Plus will help your organization provide proper levels of nutrition for your Head Start Program participants and families, while keeping costs in check. Schools that work with the food supply source program often see annual savings of around 10-35 percent. Do your part to further the advances of the National Head Start Association and help early childhood learning become an option for every child in America by making sure you make your purchases through a cost-effective, nutrition-focused food supply source service like FoodSource Plus. Head Start Program administrators who used our service during the across-the-board budget cuts and sequestration were able to keep their doors open, keep valuable personnel on staff and continue providing quality services to the low-income families and children who have come to depend on the program for early childhood learning, nutrition, parenting support and health care services. Call FoodSource Plus today to get started saving on your monthly Head Start Program’s expenses.